1. Water supply users, people who take delivery of and use water drawn from various surface water and groundwater sources. Whether intentionally or not, these users usually contaminate the water they receive with pollutants such as organic matter, sediments, nutrients, pathogens, and heavy metals. Contaminated water (wastewater) is then collected, transported away from the site, treated, and returned back to a natural waterbody, where it can be withdrawn and cycled again by the same or another water supply system. 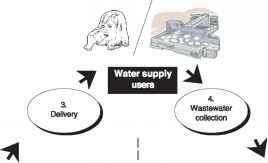 Figure 1-1 illustrates this process, known as the urban water cycle. 2. Water resource users, people such as fishermen, boaters, and swimmers, who use water in its natural settings—lakes, streams, rivers, and estuaries. This category might even be assumed to encompass the fish, waterfowl, and other living things that depend on clean water to live, reproduce, and thrive. These users can be directly affected by the return flow of wastewater from water supply users. Meeting the needs of water supply and water resource users has been a problem that has vexed public officials for centuries. Only in the latter part of the twentieth century did it become clear that the secret for keeping both sets of users satisfied is to have all components of the cycle in place and functioning properly. This fundamental concept played a pivotal role in the development of the CWA. 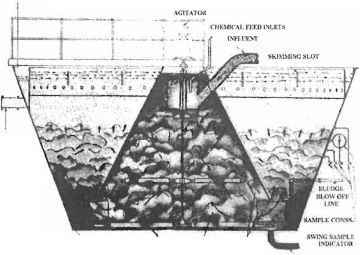 By the mid-1900s, it was becoming more and more apparent that the weak link in the urban water cycle was the wastewater treatment component. Many communities were effectively short-circuiting the cycle by allowing raw or nearly raw sewage to flow directly into lakes, streams, rivers, estuaries, and marine waters. The organic matter contained in this effluent triggered increased growths of bacteria and corresponding decreases in DO levels. This situation, in turn, negatively affected the life functions of fish, shellfish, and other aquatic organisms. In addition, pathogens, nutrients, and other pollutants present in wastewater made body contact unsafe, increased the growth of algae and rooted aquatic plants, and reduced the potential for recreation and other uses. In sum, this weak link in the urban water cycle was greatly affecting the lives and livelihoods of water resource users downstream from POTWs. Figure 1-1 Simplified urban water cycle. Through the 1972 CWA, Congress aimed to remedy this situation by establishing a national policy requiring secondary treatment of municipal wastewater as the minimum acceptable technology, supplemented by more stringent water quality-based effluent controls on a site-specific, as-needed basis. At that time, approximately 4,859 systems in the country serving 56.8 million people were providing only raw discharge or primary treatment of wastewater, a method that uses physical processes of gravitational settling to separate settleable and floatable solids from raw sewage. Secondary treatment, in contrast, yields a much cleaner effluent because it uses biological processes to break down much of the organic matter contained in the wastewater before allowing the wastewater to leave the facility. Between 1970 and 1995, a total of $61.1 billion (in current year dollars, equivalent to $96.5 billion as constant 1995 dollars) was allocated by Congress through USEPA's Construction Grants Program for the purpose of building new, and upgrading old, POTWs. An additional $16.1 billion in federal contributions was also distributed to states through the CWSRF from 1988 through 1999. In addition to this federal expenditure, state and local governments and private industry made significant investments to comply with regulations of the CWA and other state and local environmental legislation. On a nationwide basis, actual expenditure data compiled by the U.S. Department of Commerce, Bureau of Economic Analysis, in the annual Pol lution Abatement Cost Expenditures, documents a cumulative public and private sector capital expenditure of approximately $200.6 billion and an additional $210.1 billion as operating expenditures (current year dollars) for water pollution control activities during the period from 1972 through 1994 (Vogan, 1996). In this context, the Construction Grants Program provided federal grant support to local municipalities that amounted to almost one-half of the public sector costs and about one-third of the total public and private sector capital investment for water pollution control.